Just when I thought the cases were emptied and neatly stacked in the spare room for at least 2 weeks, Matt has surreptitiously booked us a long weekend away at our favourite Dubai hotel to finish off our summer holiday in style. 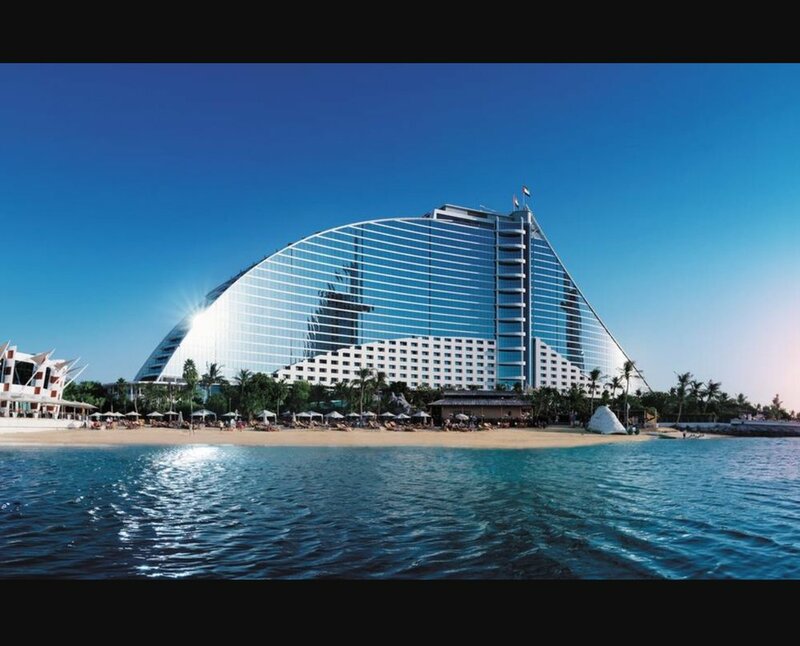 Jumeirah Beach Hotel. 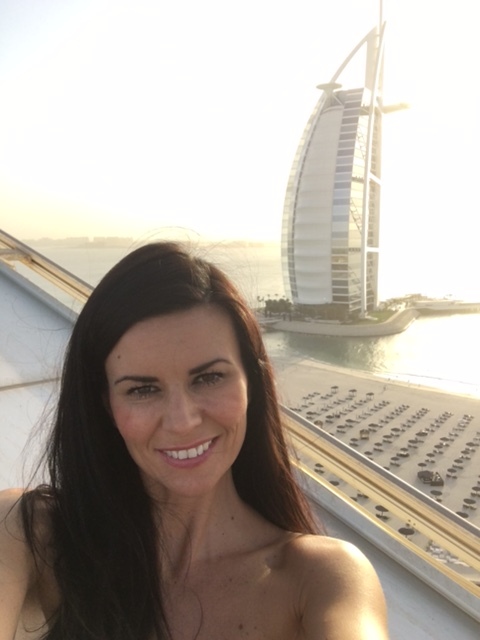 If you have ever been to Dubai then you'd have seen it for sure; with its extravagant sweeping sail presence on the Dubai coast line and the iconic Burj Al Arab as its big brother. We leave today and will spend the next 3 days doing some of our very favourite family activities. This is our 3rd annual visit to Jumeirah Beach Hotel and so as soon as I found out we were going I had our itinerary ready and set out. After check in we will head to the premier lounge for sunset cocktails. As well as having free-flow cocktails, the lounge has the advantage of containing a child zone that Cole loves so he will be kept entertained for an hour or so, while we start to relax and unwind. From there we will carry on to dinner somewhere in the hotel. The throw-away line "somewhere in the hotel" doesn't really do it justice. The hotel is actually within an integrated 5 (soon to be 6) hotel complex; including 44 different restaurants, about the same number of bars, shopping mall, beautiful canals, white sand beach, health clubs and a water park. Here in this part of the world it is all about understatement. We will likely have dinner at Dhow & Anchor. It's a casual place with a real holiday vibe to it, a perfect start to our stay-cation. Friday will see us going to brunch, for sure. For those of you who have been to Dubai and many who haven't you will know that brunch is a key element of the Dubai ex-pat culture. Four hours of total food and beverage indulgence - or some sort of limited version of it for moi. We've tried almost all of the brunches at this amazing group of hotels. They are all excellent they each have their own special touches; for example there's turtle feeding for the children at at Mina Al Salam and a sweet factory at Al Qasr that would make Willy Wonka envious. Late afternoon we will take the golf buggy back to the main hotel and spend the rest of the day at the pool(bar). Saturday we involve the Wild Wadi water park for opening time. An early arrival has dual benefits. Firstly, Cole can cram as many of the rides in as possible can before the day's crowds arrive. Secondly, Cole will satisfy his desire for supercharged, stomach churning water rides early in the day, leaving the balance of the day free for more civilized pursuits. Like the pool bar. Did I mention the pool bar? Saturday night will therefore involve some sunset cocktails followed by dinner at La Parrilla. Twenty-six floors up with a fantastic 180 degree vista of the wonderful city of Dubai and Arabian Gulf, we love this Argentinian steak house. And after all that, on Sunday we will head back home and wait for it...unpack!